With typical charisma, Mr. Clinton delivered a heartfelt eulogy and a plea for others to take up the mantle of peace building. 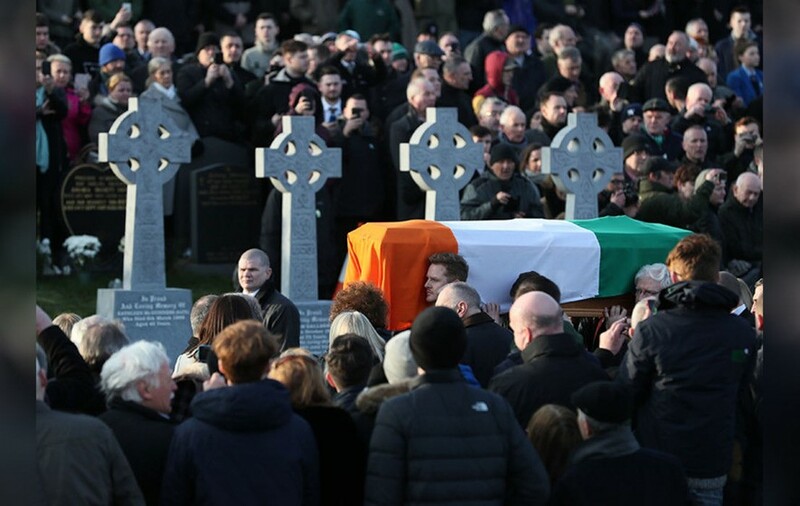 Thousands of people thronged the streets of Derry’s Bogside as the veteran Sinn Féin figure’s funeral took place in St Columba’s Church. Mr. McGuinness died Tuesday from a rare heart condition aged 66. Mr. Clinton and former DUP first ministers Peter Robinson and Arlene Foster were among those attending today’s Requiem Mass. 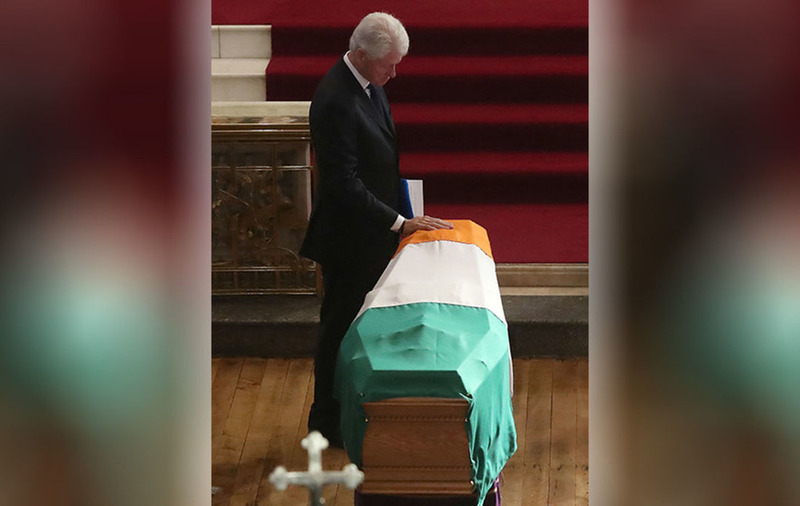 Looking down on a coffin draped in a tricolor, the former US president, who was central to the Good Friday Agreement negotiations, implored today’s leaders to pick up where Mr. McGuinness left off. 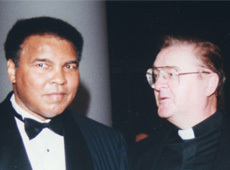 “He persevered, and he prevailed. He risked the wrath of his comrades and the rejection of his adversaries,” Mr. Clinton said. “He made honorable compromises and was strong enough to keep them and came to be trusted because his word was good. “And he never stopped being who he was. A good husband, a good father, a follower of the faith of his father and mother and a passionate believer in a free, secure, self-governing Ireland. “The only thing that happened was that he shrank the definition of ‘us’ and expanded the definition of ‘them. '”Former US President Bill Clinton speaks during the funeral of former deputy first minister Martin McGuinness in Derry. He recalled being with M. McGuinness and former SDLP leader John Hume three years ago, on the Peace Bridge in Derry, when they talked about the money, he budgeted for schools in poor Protestant areas. “He thought those children would be just as crippled by ignorance as Catholic children would,” Mr. Clinton said. “I could tell he was proud as punch with himself. Despite that well-regarded reform, Mr. McGuinness’ time as education minister was not without controversy as he led the drive to abolish the 11-plus. Mr. Clinton’s speech was interspersed with applause and laughter as he recalled Mr. McGuinness’ “marriage” to “Gerry” Adams and compared his own upbringing in Arkansas with Mr. McGuinness’ early years as one of seven children in a Bogside house with no indoor toilet. “That’s a great political story but I’m the last American president that ever lived in a house without an indoor toilet, and it’s very much overrated, except for its political value,” Mr. Clinton said. 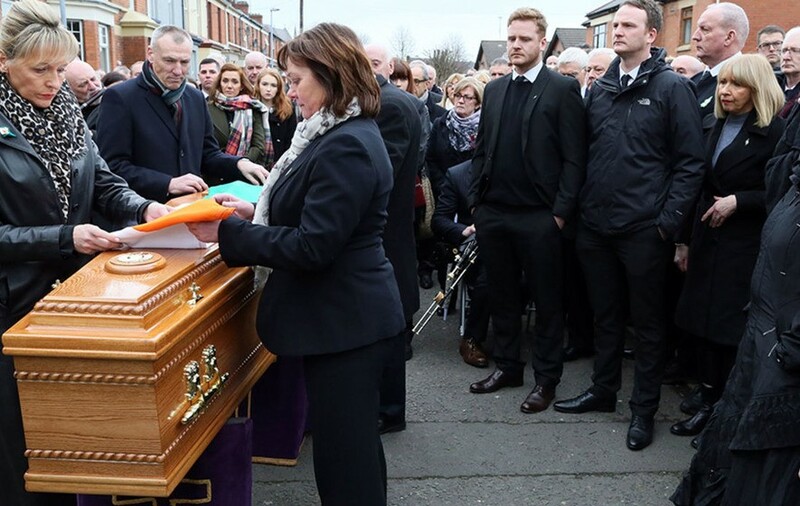 A tricolor is placed upon the coffin watched by his wife Bernie (far right) and close family ahead of the funeral. Mr. McGuinness and Ian Paisley. “Most of the publicity Martin got as a politician was the very absurd notion that he actually got along with Ian Paisley. I thought it was great that he got a word in edgeways, I never could,” he said. Mr. Clinton had been asked to speak for three minutes at the funeral but delivered more than 10 minutes, both aspirational and inspirational. He was introduced to Mr. McGuinness’ widow Bernie and family before the Mass in St Columba’s Church. 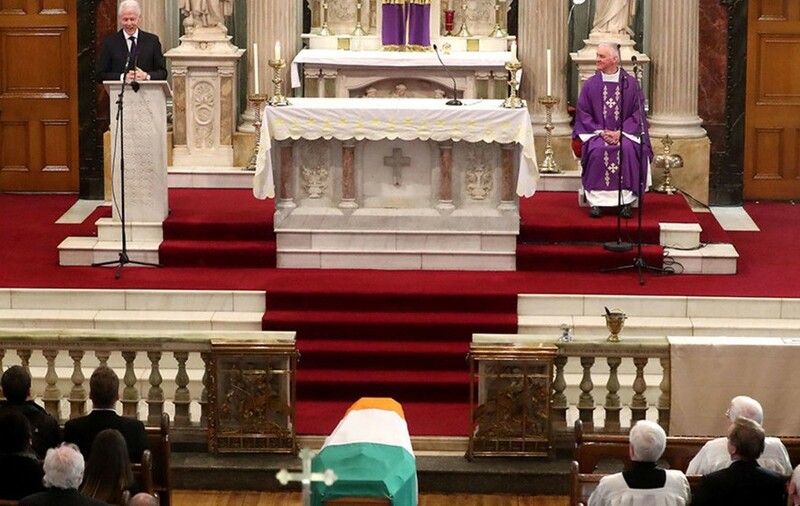 After his warm speech, he spoke with them again briefly and placed a hand on Mr. McGuinness’ tricolor-draped coffin as he walked by. “I was thinking about it – after all the breath he expended cursing the British, over the years, he worked with two prime ministers and shook hands with the Queen,” Mr. Clinton said. Mr. Clinton praised Mr. McGuinness for his ability to compromise, his integrity and listening skills. 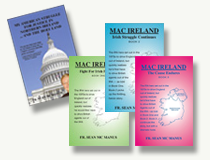 “He realized that you could have an Ireland that was free, independent and self-governing and still inclusive. That the dreams of little children were no more or no less legitimate just because of their faith background or their family’s history or the sins of their parents,” said Mr. Clinton.